What will you feel if you have a chance to stay on mountain in your Myanmar travel? Absolutely interesting! 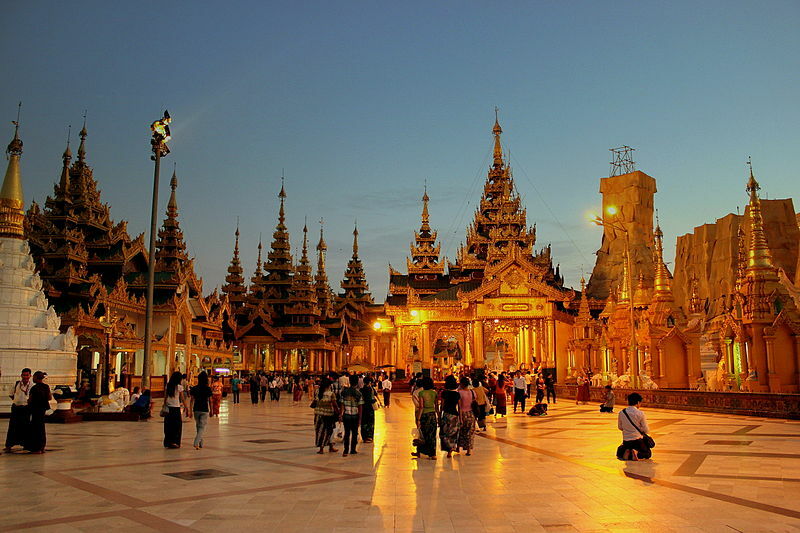 It will be more amazing that the mountain is the homeland of the majestic Golden Rock Pagoda, a very famous attraction in Myanmar. You must wonder how you can stay on the mountain. Simply, stop at Mountain Top Hotel, a beautiful hotel on Mount Kyaiktiyo. Only a 5-minute walk to the Golden Rock Pagoda at the top of Mount Kyaiktiyo, the Mountain Top Hotel is ideally located for those who wish to make frequent visits to this wonder of South East Asia. From the hotel, you can enjoy a panoramic view of the lush mountain ranges below and spectacular sunrise and sunset – which may be one of the most impressive moments in your Myanmar trip. The Mountain Top Hotel contains two restaurants which can hold up to 120 diners. You can enjoy panoramic views of the Golden Rock Pagoda as well as the surrounding mountain range right from your own table. The hotel also provides a private dining room which can hold up to 50 people and can be booked for occasion’s meetings or group dining. Best local cuisine along with a variety of Asian and Fusion dishes will be offered to you, which makes your stay there more pleasant. In addition, you can taste a variety of international wines as well as fruit juices at the bar of the hotel. The Souvenir-shop can be found at the lobby, contains various local products that you may wish to take back home as gifts for your loved ones or simply to remember your Myanmar trip. These products range from high-end local jewelry, lacquer-ware, traditional clothes and simple memorabilia. Internet Wifi Facilities are available at the lobby area. You should inquire at the Front Desk for more details. Regarded as the best hotel near the Golden Rock, the Mountain Top Hotel is one of the only hotels of international standard on the mountain. The hotel offers rooms which are fully equipped with modern facilities and provide outstanding views of the surrounding mountain ranges including unbeatable sunrise views directly from your bed. You can choose either of Deluxe Room (from $80) and Super Deluxe Room. The elegant beauty as well as high-quality service, accommodation and facilities of the hotel will make you remember your Myanmar travel very long. It’s impressive that the hotel serves almost 3000 guests every month during the peak season. Do you want to be one of those?